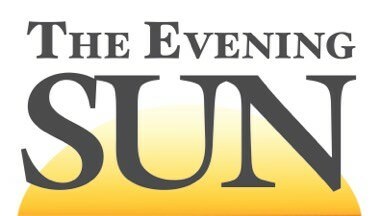 The Evening Sun | Too Many Cooks In The Jail Kitchen? Too Many Cooks In The Jail Kitchen? NORWICH – Chenango County Area Agency on Aging Director Debra Sanderson was surprised to learn at a recent budgeting session that the kitchen at the $26 million Public Safety Facility was built larger to accommodate her department. During a discussion of the agency’s 2007 utilities’ budget - and what portion of the kitchen’s expenses should the agency cover next year - Town of Guilford Supervisor Alton Doyle told Sanderson that the kitchen “had to be bigger because of Area Agency on Aging” programming needs. A 7-member team at the new kitchen cooks and contracts to deliver approximately 258 noon-time hot meals a day to seniors and senior centers throughout the county. Afterward, a 3-person staff cooks and serves hot meals to inmates beginning at 5 p.m. There are approximately 90 prisoners at present. “That’s not right,” Doyle said. Supervisor Dennis Brown, D-Pharsalia, concurred with Doyle following the meeting. “Oh yes, that’s true. We talked about it,” he said. At issue was $18,000 budgeted for utilities next year. Sanderson said she arrived at the amount based on gas and electric, water sprinkler and trash removal expenses at the former kitchen. The committee predicted it wouldn’t be enough to cover utilities at the new Upper Ravine Road kitchen. Sanderson said funds for the department’s utilities are capped federal and state dollars, but she couldn’t say at what level. The department’s contractual expenses are estimated to be $616,000 next year. Revenues, $975,000, leaving a local share on the levy of about $200,000 with no increase over 2006.